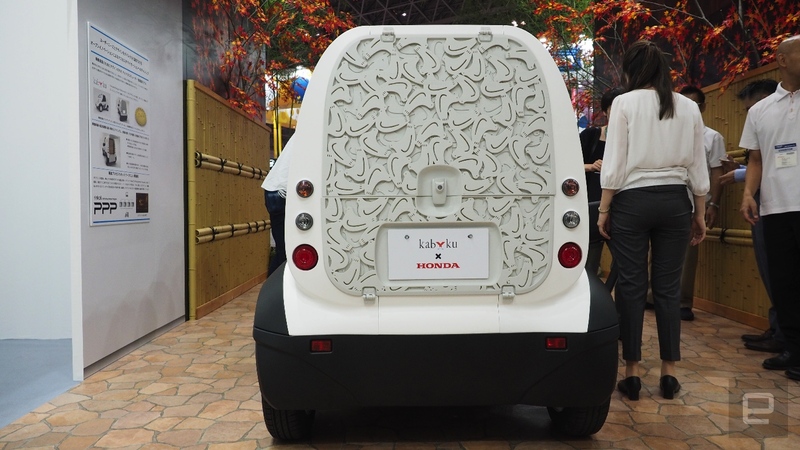 I was a bit skeptical of the idea of an entire vehicle built from 3D-printed panels, but a Honda spokesperson outlined how the company took design and engineering know-how from its motorcycle division, resulting in a light but safe pipe-based skeleton under the panelling. This is apparently what gives the "micro commuter model" structural integrity. The company had some assistance from design firm Kabuku, which put a bird on it -- on the hatchback trunk, as well as the doors and seat. 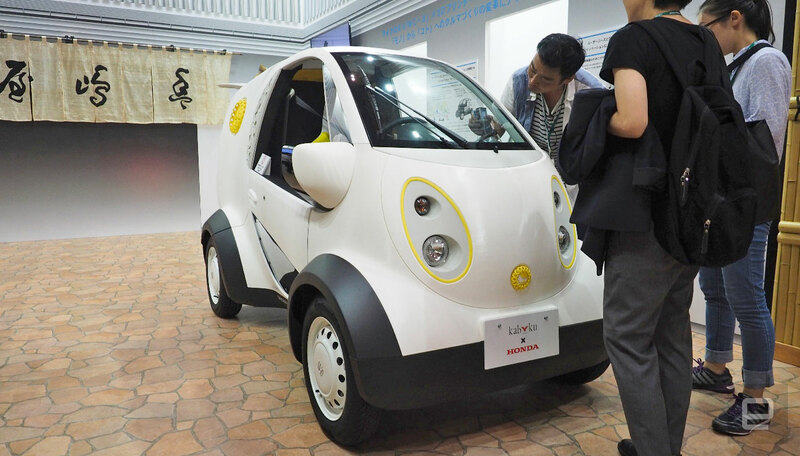 The car mostly has that familiarly, rough 3D-printed surface to it, but despite being the early first step in Honda's efforts to offer a heavily customizable electric vehicle, today's prototype could very much move. A handful of journalists and businessmen got to sit inside and drive it very briefly around a corner in a faux-Japanese village. 3D-printing entire car bodies could lead to reduced design times and cheaper costs. But that's if it becomes a bigger thing. For now, it's a promising platform that's still in development. Mat once failed an audition to be the Milkybar Kid, an advert creation that pushed white chocolate on gluttonous British children. Two decades later, having repressed that early rejection, he moved to Japan, learned the language, earned his black belt in Judo and returned to UK, and soon joined Engadget's European team. After a few years leading Engadget's coverage from Japan, reporting on high-tech toilets and robot restaurants as Senior Editor, he now heads up our UK bureau in London. It could restore voices lost to neurological conditions. And its PC and productivity business remains strong, too. Its search function is getting overhauled, too. The company is still making tons of money, but its legal expenses are adding up. But it isn’t doing away with them across the board, yet.